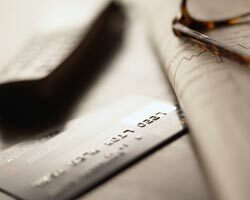 We accept all major credit cards, bank transfers and net 30 day terms to qualified organizations. Net 30 day terms are available to qualified commercial, academic and government accounts within the United States. We regret that we do not extend credit terms to companies located internationally. For more information about establishing an account, please contact one of our account representatives at 800-336-1166 or email Sales@provantage.com. We accept Visa, Mastercard, Discover Card, American Express, and JCB Card for most orders. However, we regret that we are unable to accept credit cards from some countries. The alternative payment option is a bank transfer (see details below). To avoid delays in credit card purchases, please provide the name, phone number and fax number of the bank that issued your credit card. The billing address you provide must be the cardholder's address. That is the address the bank has on record. It is also the address where your credit card billing statements are sent. If you do not accurately provide this information, your order could be delayed in processing. In the event that an item is on backorder, we will authorize funds to hold your order, but will not charge your credit card until it is ready to ship. During your SmartCart check out process, choose Bank Transfer as your payment method. In your Order Summary page, you will notice the $35 bank transfer fee included in your order total. Soon after placing your order, you will receive an order confirmation email that includes our bank information. Contact your bank, provide them with our bank information and request a transfer of funds to our bank. The funds must be in U.S. Dollars and equal to the total amount of your order. Instruct your bank to make reference to your full name and order number in the transfer. Note that funds must be received before your order is processed. Even though we do not extend credit terms outside the United States, we can provide international customers with a proforma invoice for their internal needs. This invoice would require pre-payment using either a credit card or bank transfer of funds before the order is shipped. All prices used by Provantage (including our website, email messages, proforma invoices, invoices and certified price quotes) are in US Dollars only. If you are outside the United States, you can calculate the prices in your own currency by using the currency converter available in your Smart Shopping Cart. Please see International Orders.